Cycling is a great way to get around. 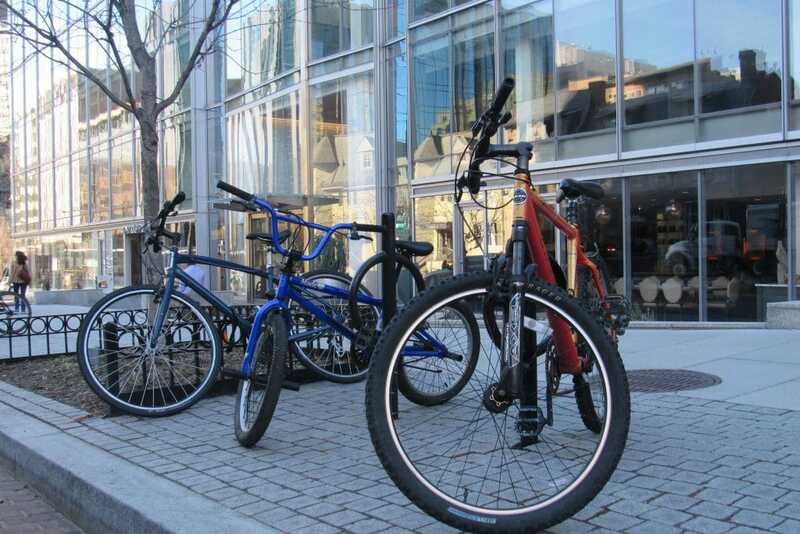 To help make DC’s central business district a more bike-friendly neighborhood, the Golden Triangle BID has installed more than 400 bike racks throughout the neighborhood, which allows parking for 800 bikes. The Golden Triangle also features six artistic bike racks, which meet the demands of parking in a fun and creative way. In order to increase accessibility and safety for cyclists, the BID regularly tracks issues such as pot holes, missing bike lane bollards, and street markings on the cycling lanes located on L Street (eastbound) and M Street (westbound).